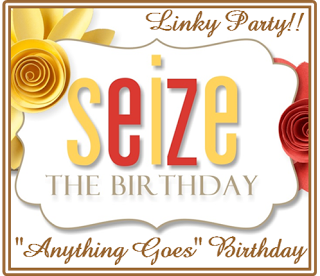 Hello Friends, It’s time for another Seize the Birthday post and this time it’s an Anything Goes Birthday celebration! Over at STB we decided to keep Anita from France on with us for another month (Yipee), so we are going to be extending our Surprise Party Guest from an original one month guest designer spot to a two month, one month was just way to short! So, thanks for graciously agreeing to stick around with us for another month Anita! 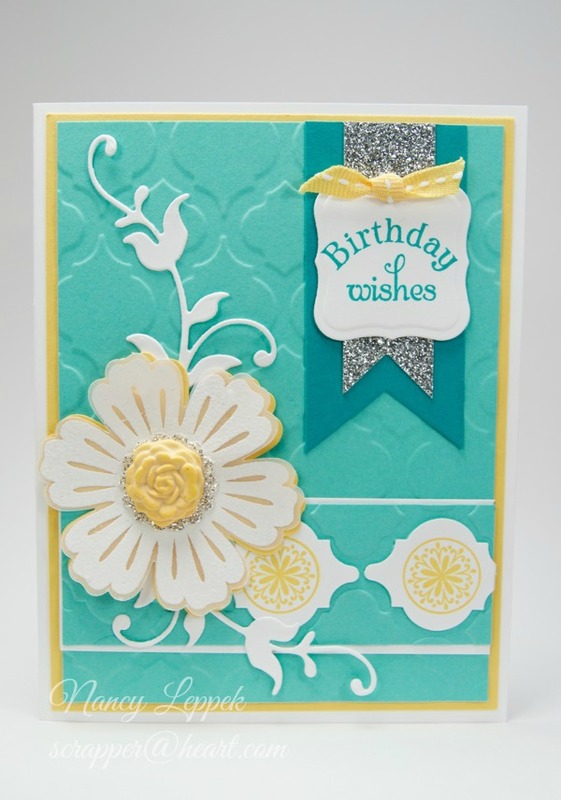 Categories: Cards | Tags: Card making, Cards, Happy Birthday, rubber stamps, Stamping Up | Permalink. Beautiful design with lots of gorgeous embellishments! The colors are so fresh and beautiful! Fantastic colors used and I love the layout. Beautiful card. Love the embossed background, Nancy, and the way those two elements mimic it. Very pretty Nancy. Love the colors and the layout. Have a great weekend, my friend.